Kennebec County, Maine Horse Directory - O Horse! 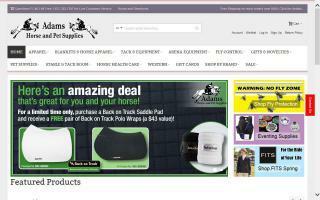 We offer equestrian lessons, training, boarding, and indoor & outdoor arenas. Very gentle horses. Miles of trails and a round pen. We utilize natural horsemanship techniques and offer training lessons as well as equitation. Just 5 minutes off I-95 with easy access. Full service boarding stable on 25 acres. 100 x 200 outdoor arena and 70 x 120 indoor arena. Cross country and stadium jumping available. Trails nearby. 12 x 12 matted box stalls. Hay 4 times daily. All day turnout in large paddocks. "No better care anywhere!" We are a professional transport company. We provide service for 48 states. We are a small and personalized company. We provide exclusive care for horse while transporting. Box stalls available. We stop every 4-5 hours to rest the horses, feed, and water. We have a video monitoring system. We are available 24/7 by cell while on the road. Like us on Facebook and Twitter. We have over 40 years' combined experience with horses. We also do shows. We have two drivers at all times to insure the safest and fastest transport for your horse. We are family owned and operated. We are horse people providing a service to horse people. Thank you. 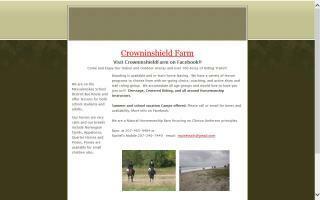 Offering complete training for horse and rider and obedience training for dog and owner. Clinics, roundpen rallies, and travel training available. Welcome to a place that is truly magical and stress free. Boarding, training, communications, lessons, and camps are all here! Call today! Crazy about Horses Summer Camps!